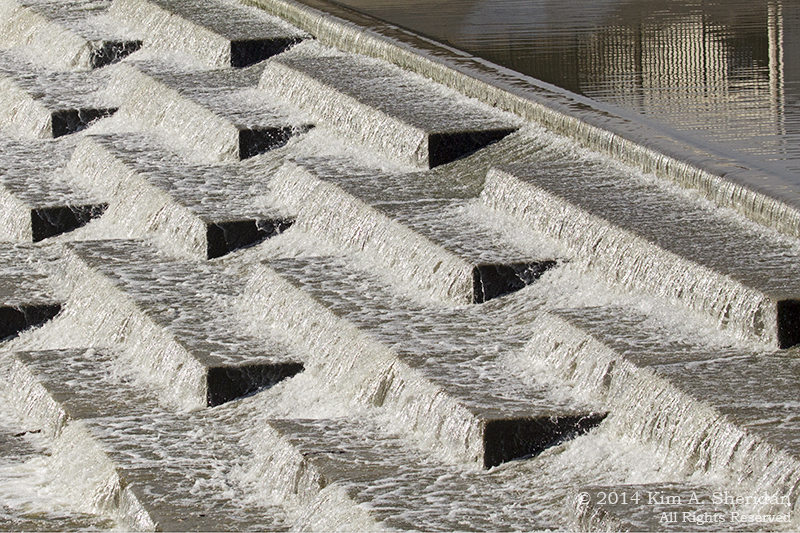 Is there a haven in the Dallas sprawl? 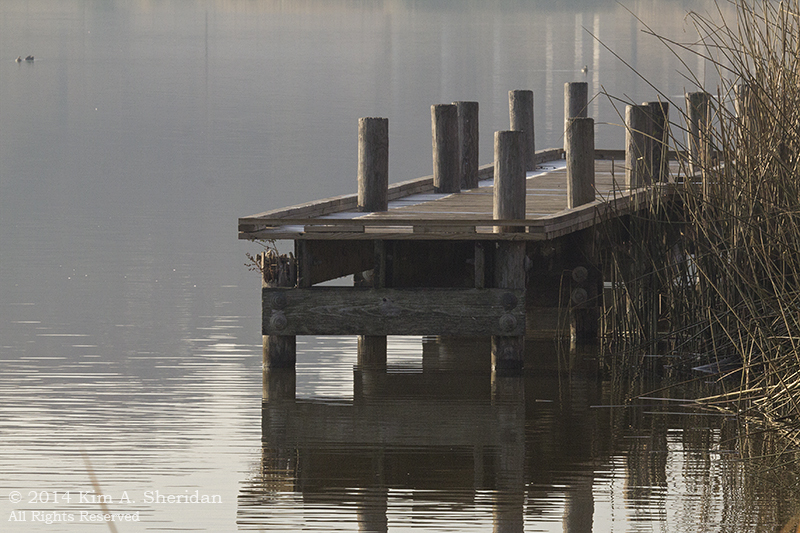 A place to watch the morning break? 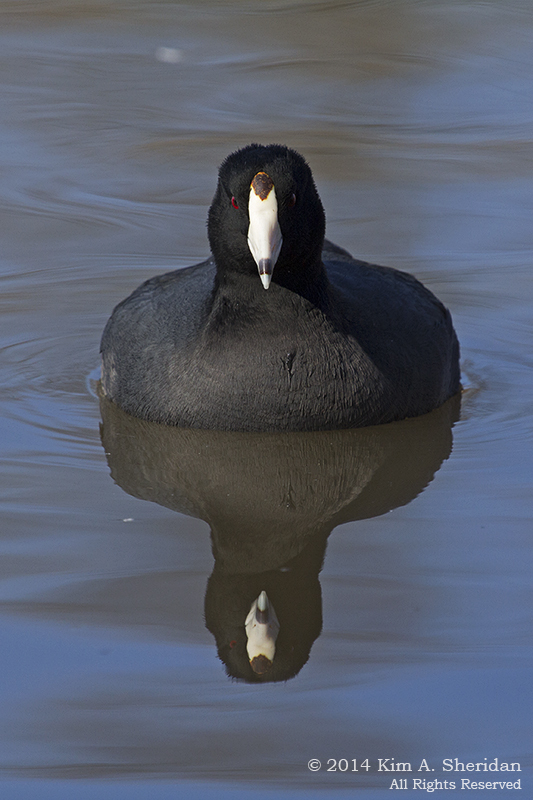 While Double-crested Cormorant (left) is primping for her photo op, and American Coot (right) is working it for the camera. 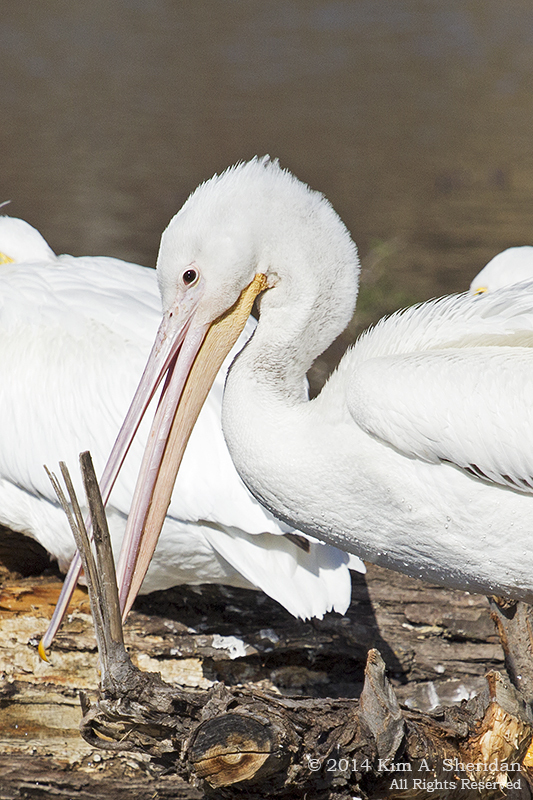 Not all the birds in White Rock Lake Park are native, or even wild. A number of domestic geese and ducks prowl the shores. 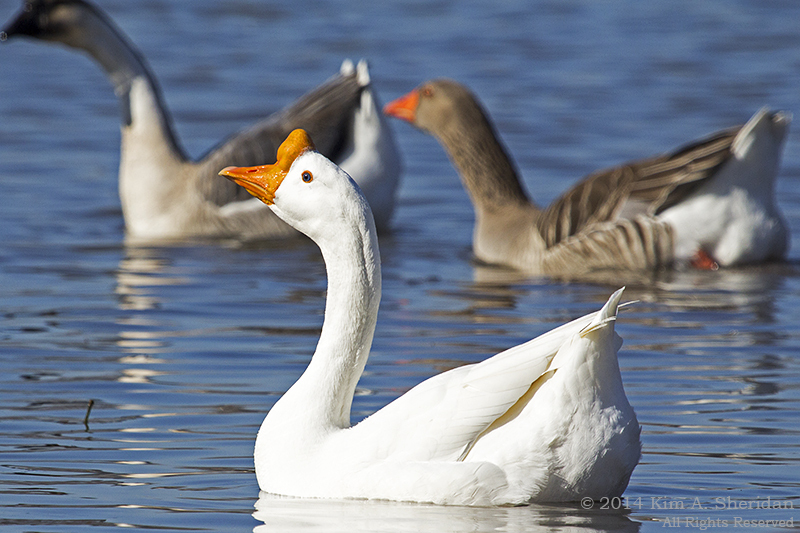 This is a White Chinese Goose. 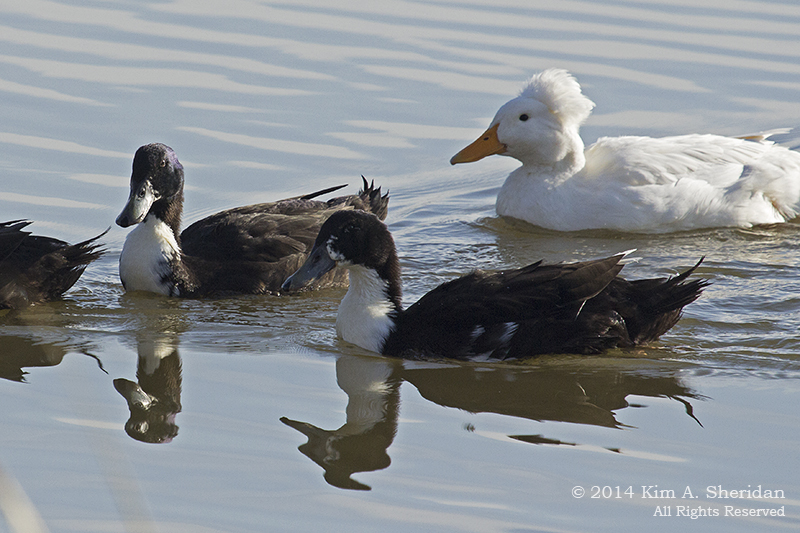 More domestics: Black Swedish Ducks in front and the Crested Pekin Duck. And yes, there is no “g” in “Pekin”, despite the insistence of the spell-checker. Ah, here are we are back to the wild critters. 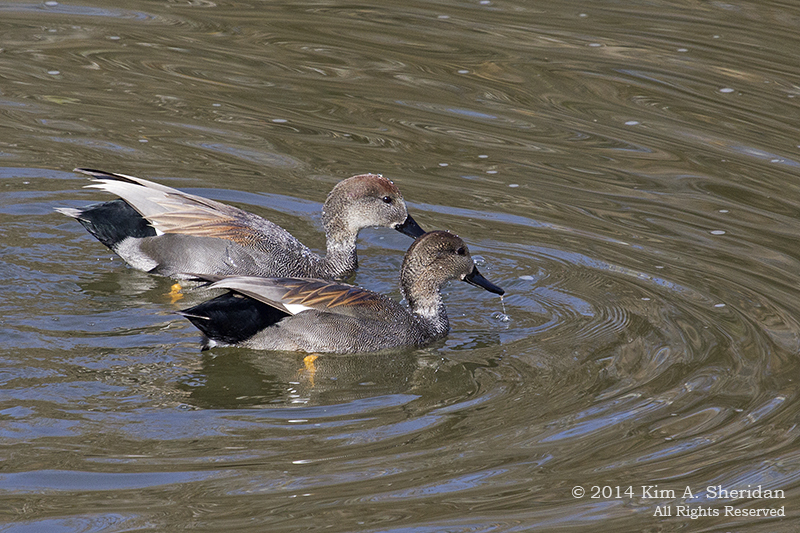 These Gadwalls are looking especially natty. 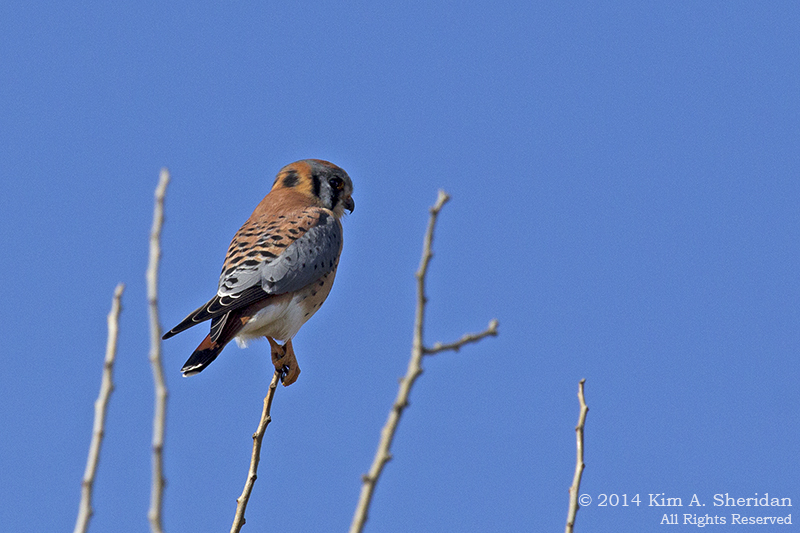 American Kestrels perch in trees on the edge of a meadow, looking for mice and voles to eat. 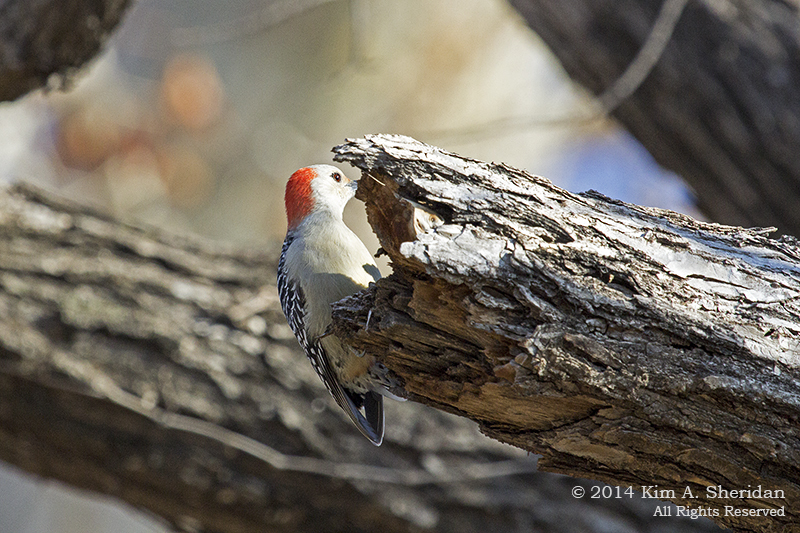 Red-bellied Woodpecker, also looking for good things to eat, much prefers insects. Despite the moniker, the belly is only marginally reddish. The red on its head would seem a better inspiration for a name, but “Red-headed Woodpecker” was already taken. Who’s the fairest on White Rock? That’s an easy one! 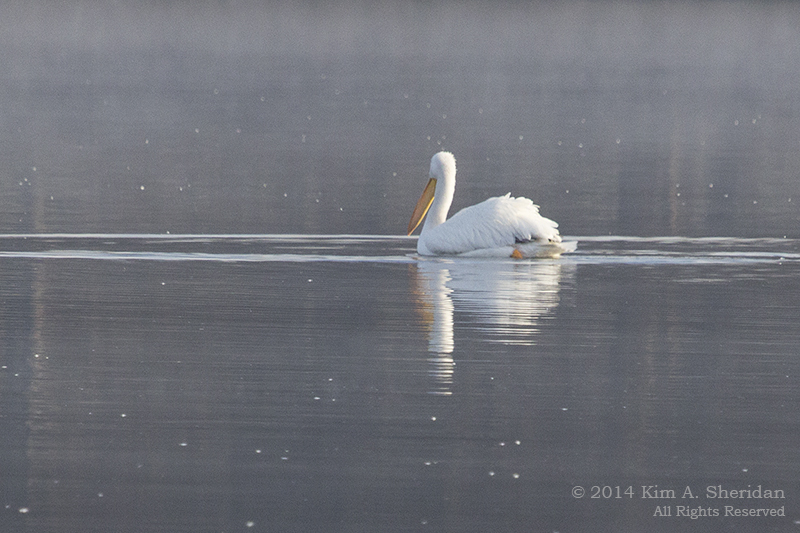 American White Pelicans are the stars of the show at White Rock Lake in winter. 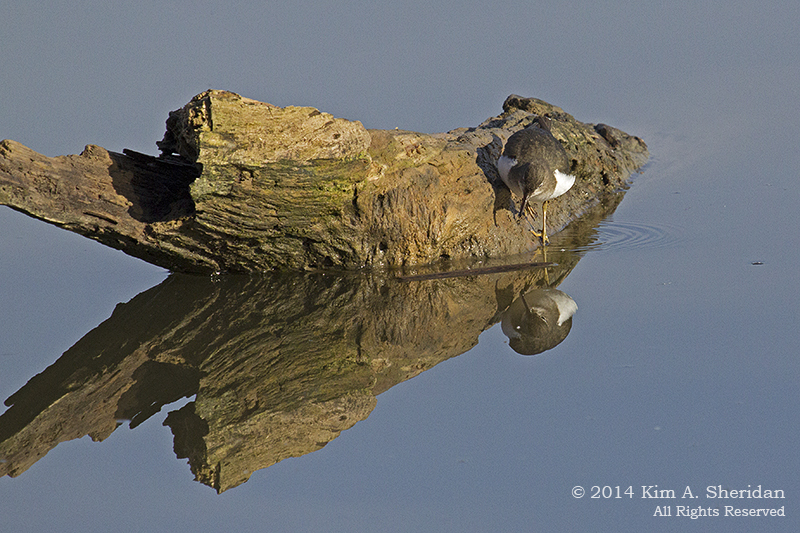 These HUGE birds roost and preen on logs near the lake shore. They look like they’re too big to get off the ground, but in fact they are graceful and powerful fliers. Watching them skim the lake’s surface is an impressive sight. Not one I’ve captured to my satisfaction yet, though. 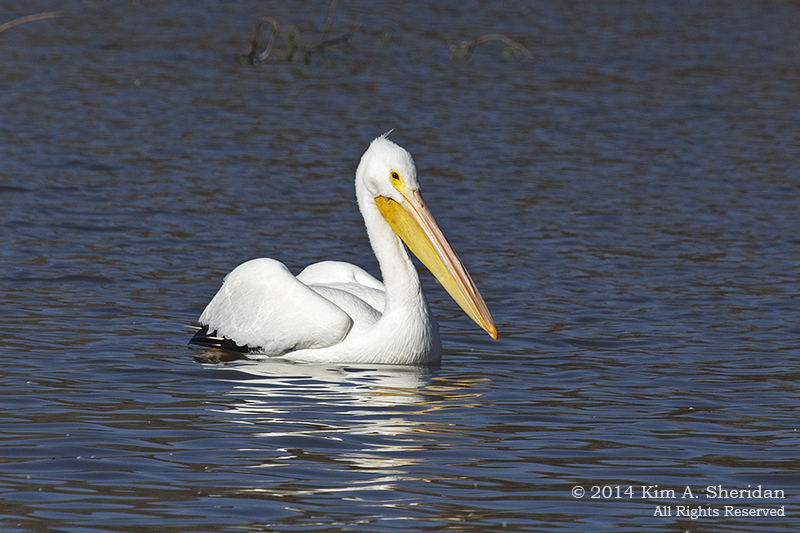 FUN FACT: How huge are White Pelicans? From beak tip to tail tip they are about 5’2”, nearly as tall as I am. Their wingspans are about 9 feet long. The pouch in their bills can hold 3 gallons of water. Take a look at a gallon of water in the supermarket, and then imagine holding three of them in your mouth! Ouch! 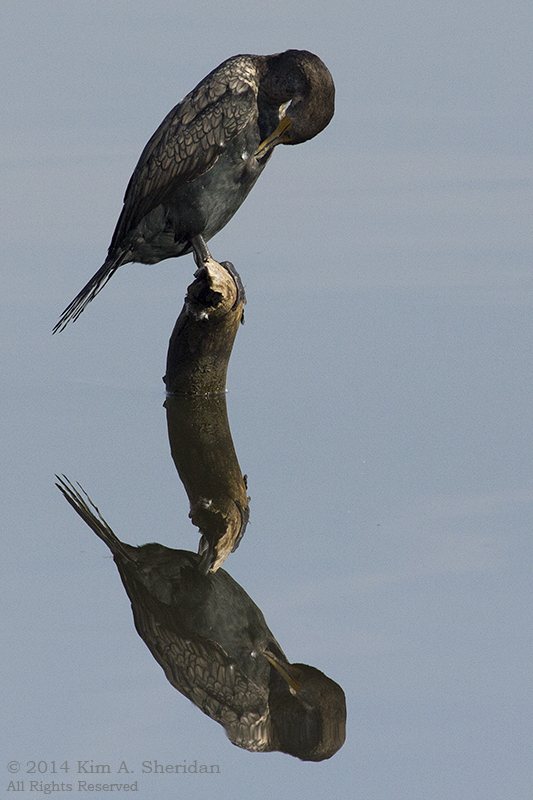 They catch fish by dipping their heads underwater, like bobbing for apples. 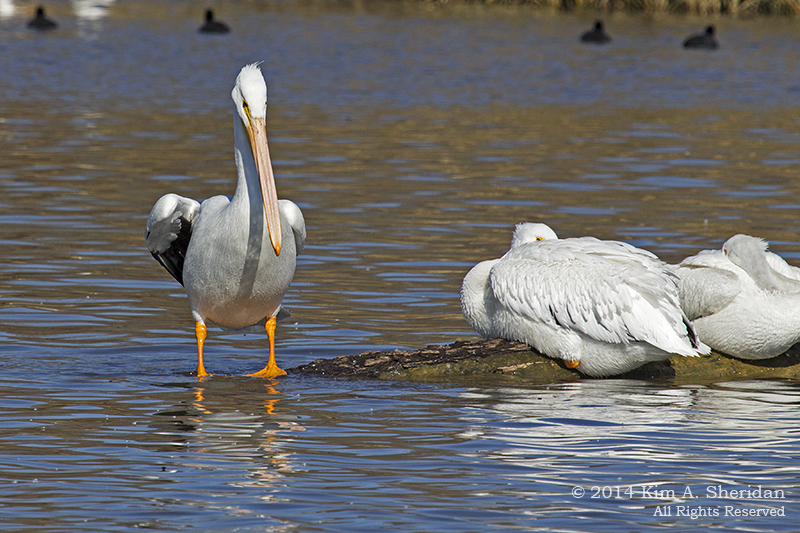 Sometimes several Pelicans will get together and herd fish together to make them easier to catch. 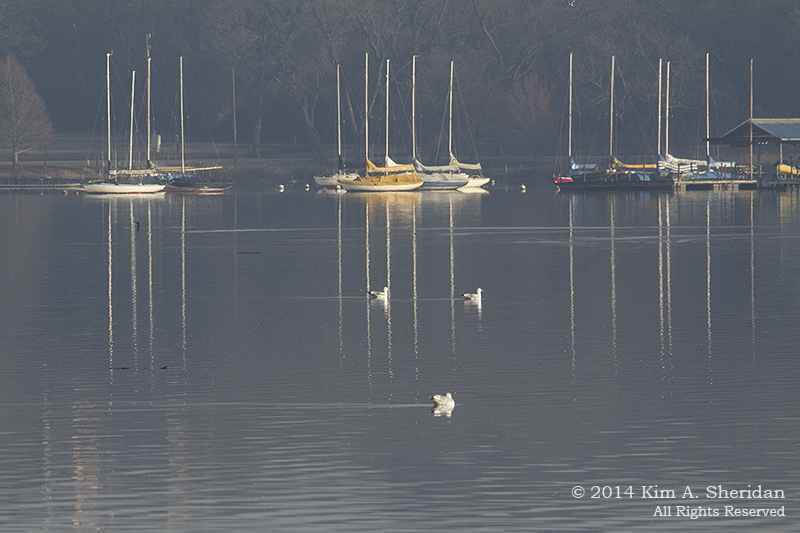 This entry was posted in Birds, Nature, Texas and tagged Birds, Dallas, Nature, White Rock Lake by Kim. Bookmark the permalink.